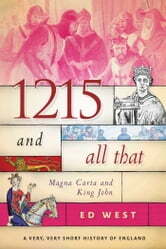 1215 is one of the most famous dates in English history, and with good reason, since it marks the signing of the Magna Carta by King John and the English barons, which altered the entire course of English and world history. John Lackland was born to King Henry II and Eleanor, Duchess of Aquitane in December, 1166; he was the youngest of five sons. However, he unexpectedly became the favored heir to his father after a failed rebellion by his older brothers in 1173. He became king in 1199, though his reign was tumultuous and short. After a brief peace with Phillip II of France, war broke out again in 1202 and King John lost most of his holdings on the continent. This, coupled with unpopular fiscal policies and treatment of nobles back home, led to conflict upon his return from battle. Buffeted from all sides, King John was pushed in 1215 to sign along with his barons the Magna Carta, a precursor to constitutional governance. But both sides failed to uphold the agreements terms and conflict quickly resumed, leading to John’s untimely death a year later to dysentery. 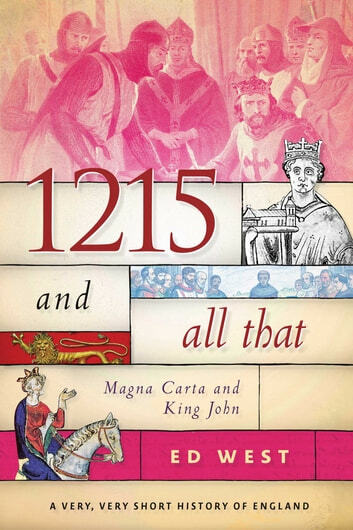 Pitched at newcomers to the subject, 1215 and All That will explain how King John’s rule and, in particular, his signing of the Magna Carta changed England—and the English—forever, introducing readers to the early days of medieval England. It is the third book in the acclaimed A Very, Very Short History of England series, which captures the major moments of English history with humor and bite.